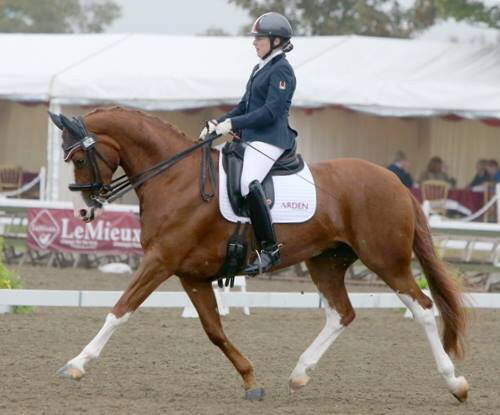 Four months after breaking her leg in a riding fall, Holly Smith has won today’s feature class at the Al Shira’aa Hickstead Derby Meeting – the Bunn Leisure Derby Tankard. Holly was out of the saddle for 13 weeks after breaking her leg in a fall at home back in February. 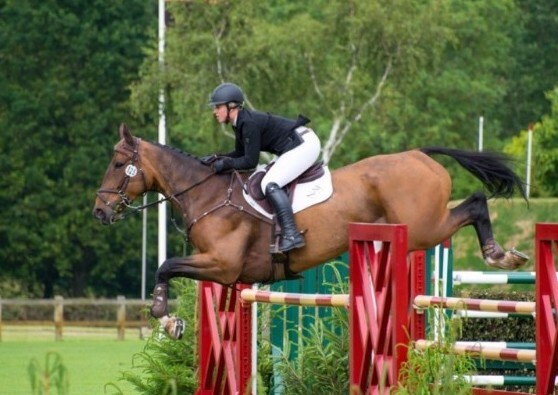 But after extensive rehabilitation she has returned to top level competition, and there was no stopping the Leicestershire rider today as she claimed the top prize in the 1.50m competition with the nine-year-old Quality Old Joker. Holly was the fastest of seven riders in the jump-off, finishing more than a second quicker than Ireland’s Billy Twomey (Eindhoven GH) in second place. The first international class of the show was the Stoner Jewellers Vase, with the top prize going to Nottinghamshire’s Louise Saywell. Riding the 14-year-old stallion Peiter VI, Louise set a quick time of 71.83sec that no one else could match. Today’s victory was significant for Louise, who hasn’t won a big class at Hickstead since she was on ponies. “The last time I had a big win here it was on 12.2hhs,” she added. Polo player turned showjumper Max Routledge also enjoyed a successful day at the All England Jumping Course. 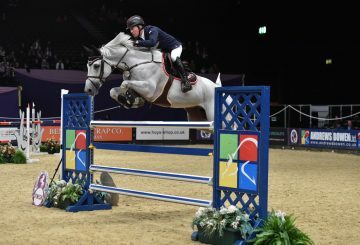 The Surrey-based rider won the Astore & Sons 1.35m Open Championship with Lord Of Arabia, as well as the Annual Grade C Championship on Centos Girl. Tomorrow’s main class is the Bunn Leisure Derby Trial, in which the highest placed riders will qualify for Sunday’s showcase – the Al Shira’aa Derby. Tickets are available online or at the gate.